This week is a momentous time for NSW as for the first time a female Premier with a long surname was elected to govern the State. 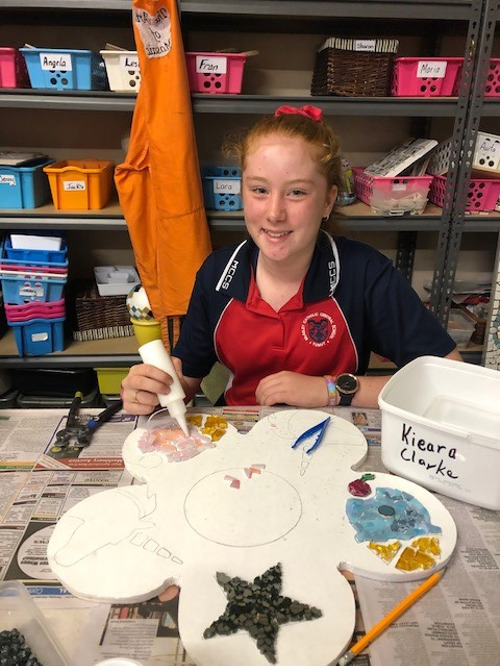 Also for McAuley Community Council as for the first time in the eight years I have been at the school, a woman was elected Chairperson, Natalie Bartlett. 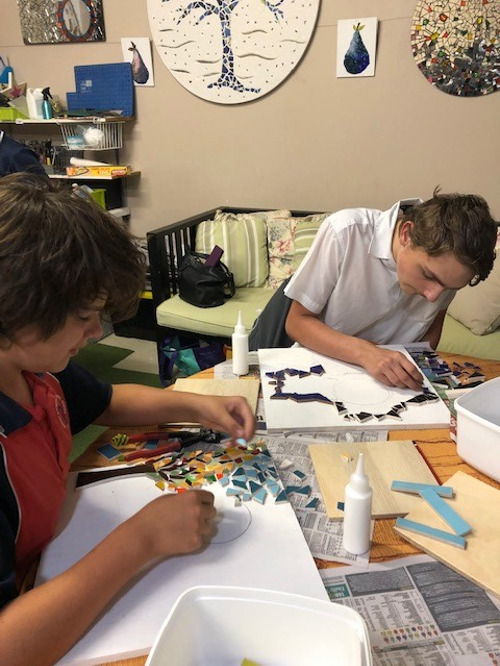 The COMMUNITY COUNCIL is the parent voice who raise issues of concern and contribute expertise, knowledge and ideas in support of the school and community. Community members are encouraged to bring suggestions and ideas to the members of the Council. Thank you all for being involved. 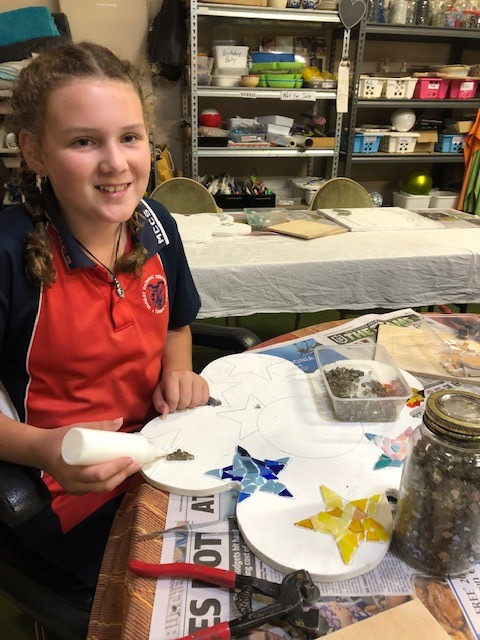 TUMUT RODEO CANTEEN: If you are attending the Tumut Rodeo this Saturday 30th you will find the Canteen being operated by members and supporters of the Community Council between 5.30pm – 7.30pm. Thank you. PRIMARY CROSS COUNTRY: Reminder that the Primary Cross Country, postponed because of storms last Friday, is on this Friday 29th and the Athletics Carnival is on Monday 1st April at the Bull Paddock. RETREATS: Tuesday Year 8 go to Cootamundra for the Western Region Retreat followed on Wednesday by the Year 9 class. Students from the Western Region schools will gather together for these retreats. YEAR 10 PASS TREK: Our Year 10 PASS class departed on Wednesday morning 27th to begin their three-day Alpine Trek in the National Park. The students have to carry packs with everything they need, I tested some they were not light! Next Monday to Wednesday, I will be at St Mary's Primary School Moruya as a member of the School Registration Panel. All parents, carers, teachers and students are encouraged to download our SZapp - which will further assist you to stay connected with your school. 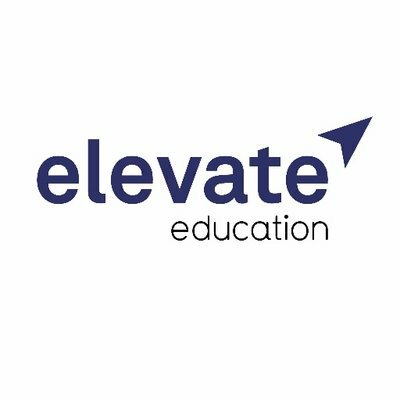 You will be able to view and access school newsletters, documents and get instant notifications from us. The app will be another contact point for parents. 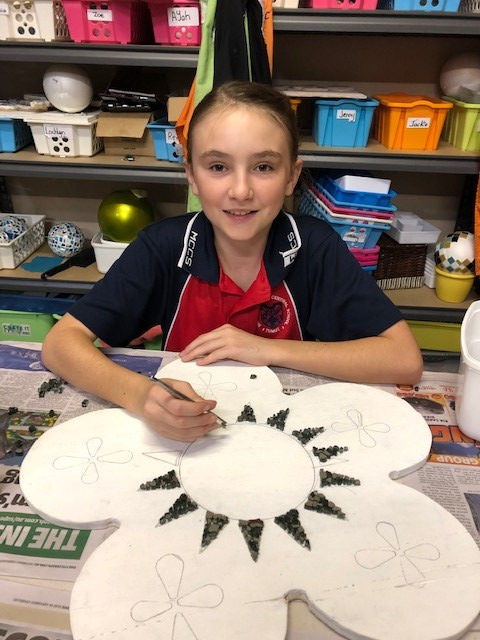 It is our aim to provide many platforms which will assist you to keep us to date with happenings at McAuley. The enrolment period for 2020 will commence after the school holidays. Parents will have the opportunity to enrol 'on-line' this year. A link will be available through the enrolment link in the McAuley Website. Stay tuned - and spread the word about what a great school McAuley is! 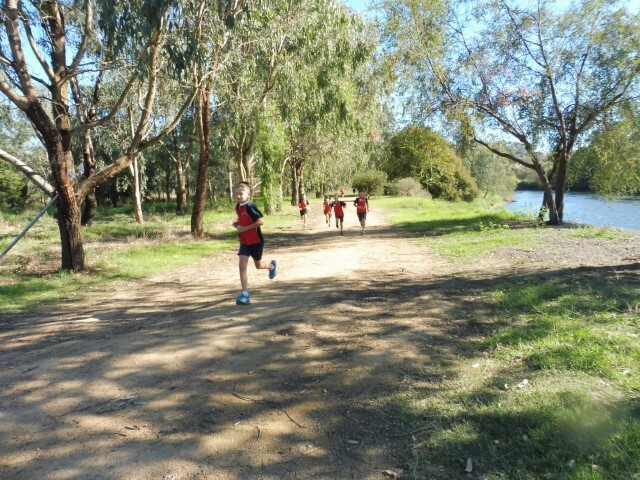 The Primary Cross Country Carnival will take place at the Tumut Wet Lands this Friday from 10am to 12pm. All students are to wear their sports uniform including their school hat. Don't forget to bring a bottle of water. Any student who suffers from asthma should carry their own asthma puffer. A reminder to all parents - if you are coming to watch - please be aware that the Old Gundagai Road will be closed to vehicles for the duration of the race. Please do not park vehicles at the end of Old Gundagai Road as the bus needs this area to be able to turn around. Run hard everyone - but most of all - HAVE FUN! All parents and students should be aware of the arrangements for Monday. Please click on the links below if you are unsure of any details. Or alternatively, please contact the school. 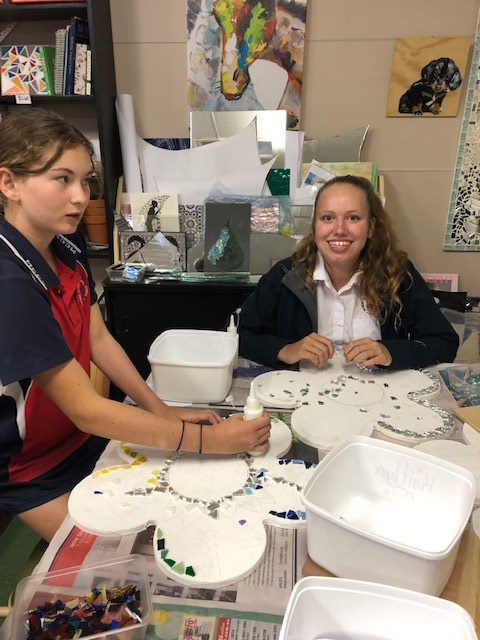 Creative Secondary Students, under the guidance of Ms Greacen, are working on some beautiful pieces during Friday afternoon activities. We showcase several of the 'works in progress' - we hope you enjoy our Gallery. 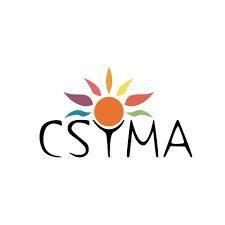 Retreats, which will be facilitated by the Catholic Schools Youth Ministry Australia (CSYMA) team from our Archdiocese, will be held in Cootamundra on Tuesday 2nd and Wednesday 3rd April. 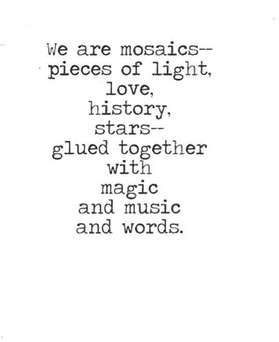 Students will be given opportunities to reflect and to recognise their value and self worth. 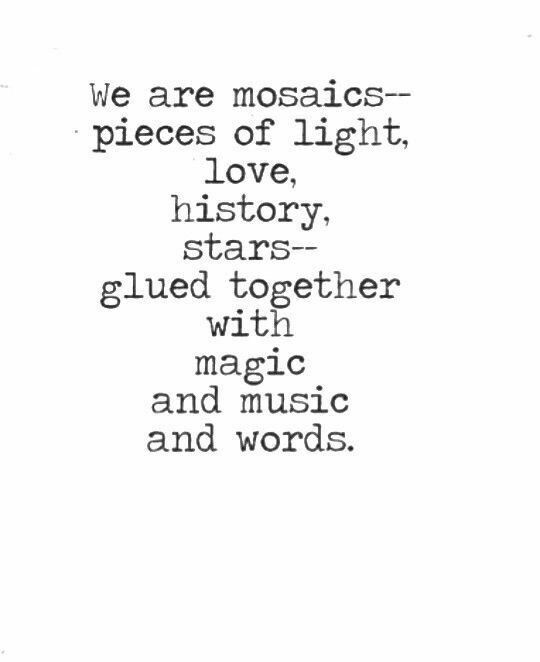 They will be involved in activities that will develop team building, cooperation skills, along with spiritual growth. Retreats for Year 7 and Year 10 will follow later in the year. Study Skills Program for Secondary Students. 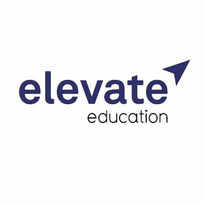 All Secondary students participated in the Elevate Education Study Skills Program held this week. The Program's aim is to engage students in developing skills that will enhance their future learning. The program covered note taking, mind mapping, study skills and time management. An on-line Platform, tailored to support our students skills courses, activities and practise questions is available to every secondary student at McAuley. The student password is rondo. Click below to access. Staff have been encouraging students to look through this portal which has some fantastic resources to assist your child in their learning. All families will be given (via your child) tickets in a beautiful Cadbury Easter Basket raffle. 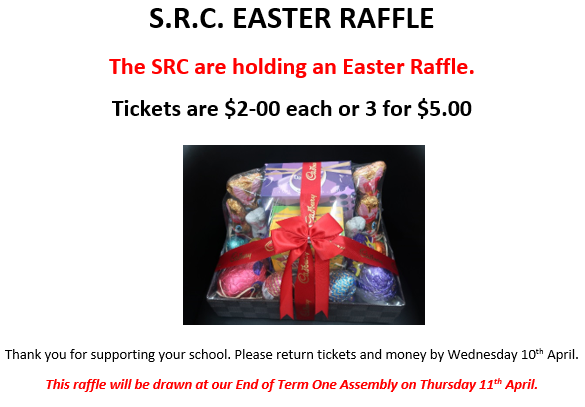 Please ensure all tickets and money are returned to school by Wednesday 10th April as the raffle will be drawn at our End of Term One Awards Assembly on Thursday 11th. Thank you for supporting our Student Representative Council's fundraising efforts. THANK YOU everyone who has returned the money collected from our recent Chocolate Fundraiser. We have several families still to return collected money - this should be returned as soon as possible. Thank you for your efforts with this fundraiser, we will advise the monies raised after the holidays. 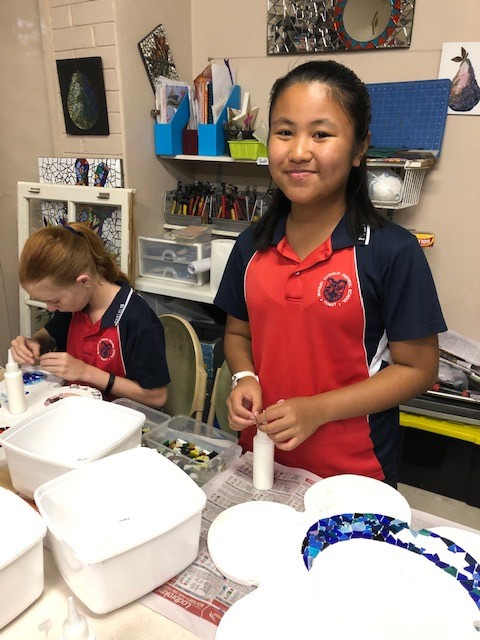 CANTEEN help will be required on Monday at our Athletics Carnival at the Bull Paddock. If you have an hour to spare, please pop into the Bull Paddock Canteen and see if Kellie needs some help! Thanks everyone. Wednesday 3rd April: Marg Forrest, Karen Clarke and Sue Clarke. Friday 5th April: Mel Pearce and Anna Mather. We thank everyone who continually volunteers their time to keep our canteens running. Without your assistance, our canteen would not be able to operate. Please click on the link below for our Canteen Menu and Price List.